Ecotools | Tap into the Fabulous you!!! To bring in 2011, I am excited to announce the Official Welcome to 2011 in February (due to my lateness) Pink Diamonds giveaway (I am cheezin right now, so corny, lol). 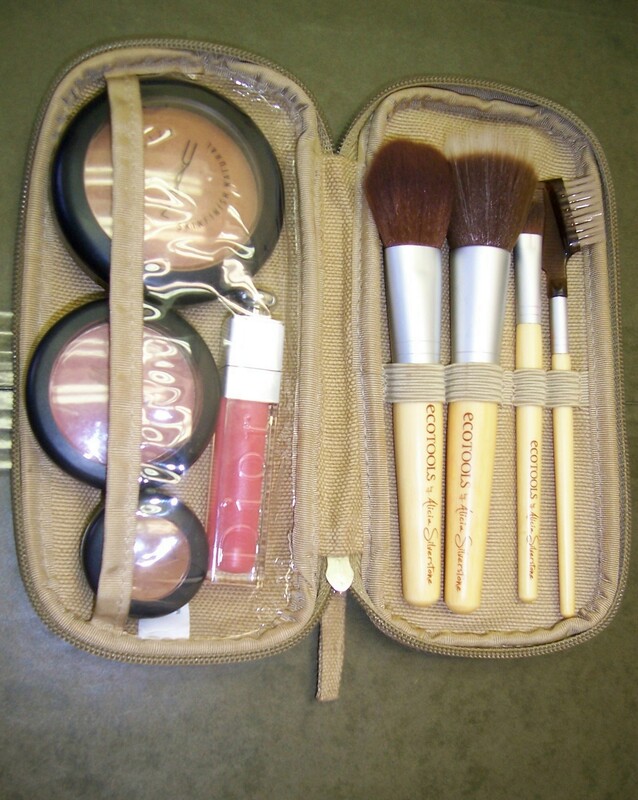 The 1st runner up will receive: The Ecotools earth-friendly overnight bag and The ecotools cosmetic bag. I love these products, so I wanted to share. The winner will receiver: $100 in M.A.C Cosmetics products of your choice. 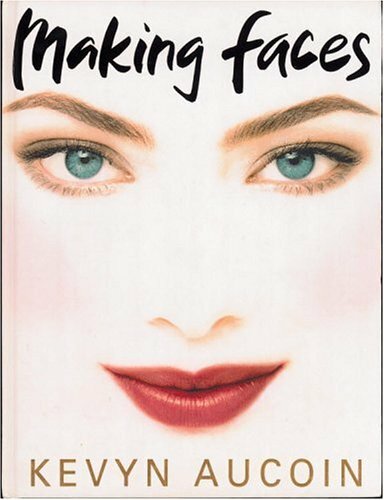 Plus, one of my favorite Makeup books of all time…Making Faces by Kevin Aucoin. 2. Second entry: Mention this giveaway on your blog or twitter and let us know in the comment section you have done so. 3.Third entry: “Like” Pink Diamonds by TL on Facebook and let us know you have done so in the comment section. 4. Fourth entry: “Follow” Pink Diamonds by TL on Twitter and let us know you have done so in the comment section. You must be 18 or older to enter. Contest is open to U.S., U.K and Canadian residents. Deadline for entries for this giveaway is on Sunday, February 27th 2011 @ 11:59pm (EST). So…Are we ready!!! I am excited and can’t wait to announce the lucky winner. Disclaimer: Please note all gifts were purchased by my own funds. The MAC products depends on availability, but a substitute can be requested. Only items from the regular MAC line can be requested, i.e no limited edition items or viva glam items. At least 12 people have to enter the contest for this giveaway to qualify. Finding affordable brushes that are environmentally friendly and great in quality is not something that happens everyday. 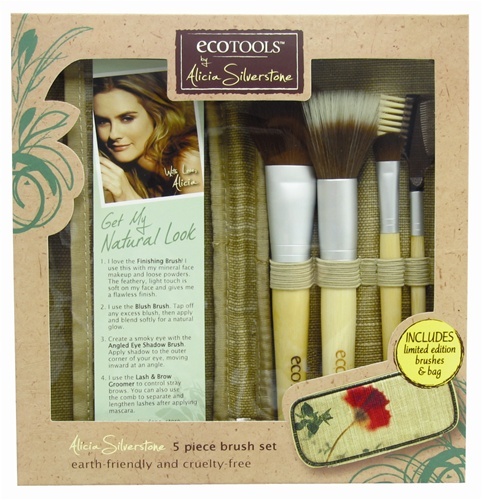 Well…not until I got my hands on the EcoTools by Alica Silverstone brush set. I wasn’t sure what to expect, but I was quite impressed with their brushes and the cosmetics bags. I have used them for over a month to apply my makeup and I think they are amazing. When I washed them they didn’t have a weird smell, like some of the store-bought brushes I have tried in the past. The bristles are very soft and did not shed. After washing and drying them, they felt just like the first time I touched them…soft. The shape was not distorted after the bristle dried like some cheaper brushes. 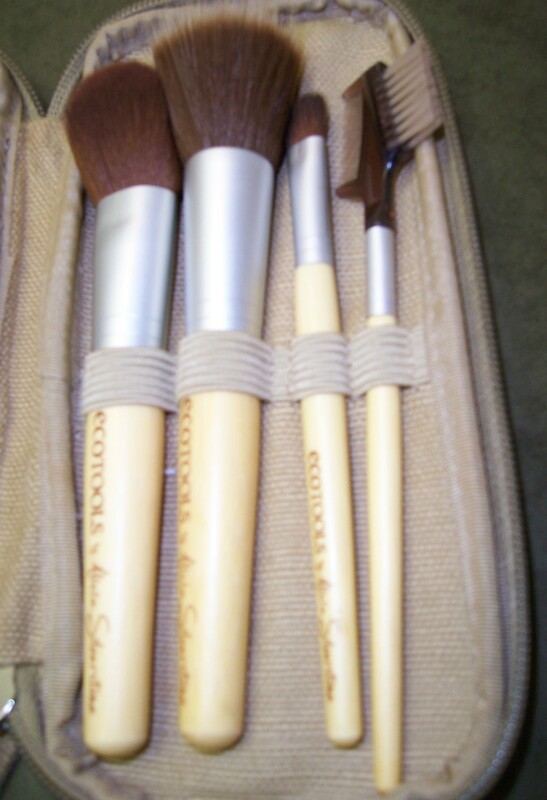 The Blush Brush: As the name suggests, it is supposed to be used for blush. It works very well with blush application, but I have been using it as a powder brush. Because of the rounded tip of the brush, it really helps to blend my mineralized powder. I also use it to contour my face. It gives me an amazing glow… I just love it!! The Finishing Brush: It is also called a stippling brush which is used to blend makeup into the skin for a flawless finish. This brush is supposed to be used to apply mineral face makeup and loose powers, but I use it for more than that. I use it to apply my blush and bronzers. You can also use it to stipple wet makeup like liquid foundation. The light touch gives an airbrushed finish. The Angled Eye Shadow Brush: This brush is great for applying eyeshadow to the outer corners of the eyes, giving a smokey eye effect. But I love it even more for applying highlight colors under the eyebrows (the brow bone). The Lash & Brow Groomer: This brush is great for controlling stray brows. You can also use it to separate and lengthen your lashes after applying mascara. 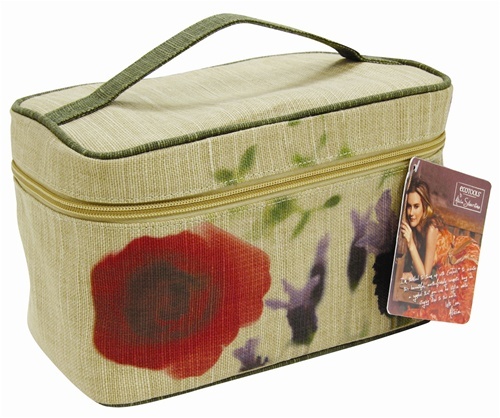 The Cosmetics bags: I also got the other bags from the EcoTools by Alica Silverstone collection. The bags I got were the Overnight bag, Train case and Cosmetic bag. All the bags are made of natural hemp material, which I thought was unique. According to Ecotools, they are lined with recycled plastic and all the designs on the bags are printed with non-toxic inks. The overnight bag, is my new go-to bag for traveling… it holds everything I need, from the moment I brush my teeth to the moment I get out of the shower. The Train Case is my new favorite makeup bag. I love the size because it is large enough to store my makeup, but small enough to leave in my car, in case I need to change my makeup look after work. It has a nice size removable clear case inside that I put items I need easy access to. I also like the fact that my Brush set (mentioned above) fits into the train case with ease. Because of the color of the bags, they handle stains and dirt very well. I got a pink stain on my brush set and I can hardly see it. It kinda blended in. 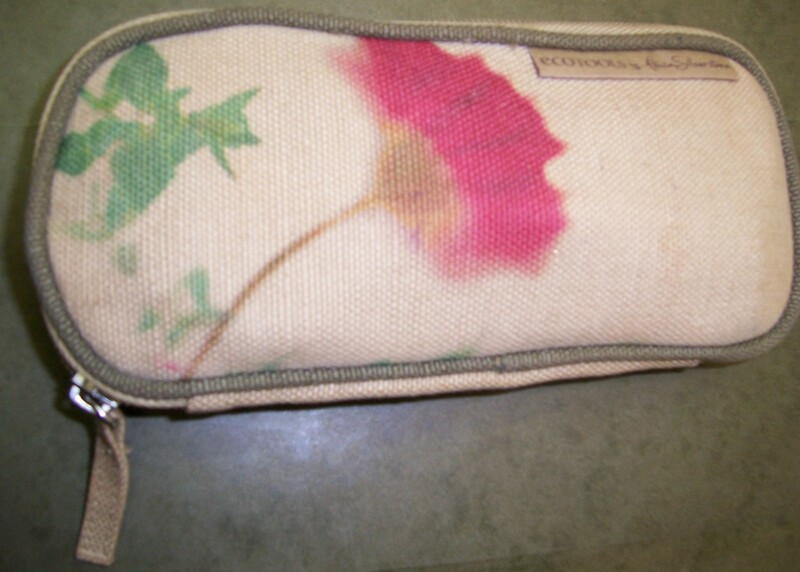 Added bonus: The brush case can double as a cosmetic bag which fits perfectly into any purse. I can’t think of any…well, expect that the brush set is meant for mineralized makeup, so it does not pack on a lot of makeup, but that’s what using mineralized makeup is about….you want to look natural.. so it works as a positive in my opinion. 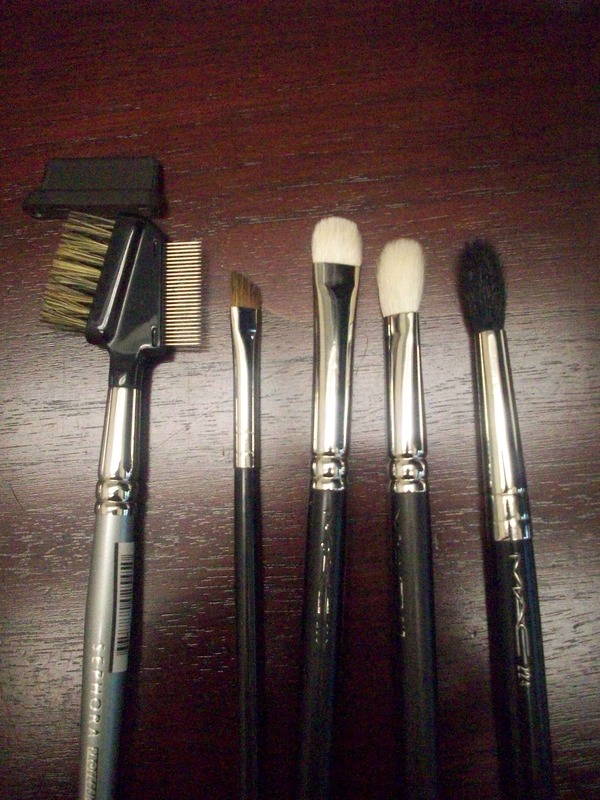 If you are looking to apply heavy or dramatic makeup, this might not be the brush set for you. You should get this brush set if you are a beginner and are looking for tools to apply your makeup. I think it would be a great addition to your personal makeup bag. You can pick up the brush set here. 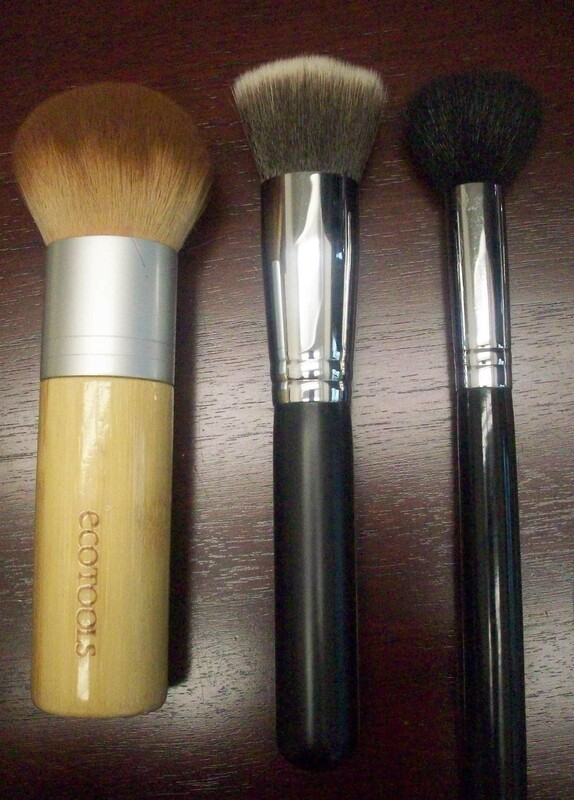 EcoTools, also has another brush set that might be of interest to some because it includes three other brushes that are not in the brush set I reviewed above. That brush set can be picked up here. FTC Disclaimer: This review contains my honest thoughts and opinions. The products were sent to me by EcoTools. I am not affiliated with EcoTools. I was not paid to use or review these products.